The bewildering range of emotions ex-offenders experience as they leave the prison gates can be whirling. We know how they feel terrified about the prospect of leaving prison, and how daunting the challenge is of staying clean, staying sober and staying away from a bad crowd; challenges which were all part of the reasons why they got into trouble in the first place. Many people in prison come from what are termed ‘chaotic backgrounds’. This really means fractured childhoods, addictions, a lack of discipline, poor educational achievements, exposure to violence – and, at its very heart, an absence of affection or caring that loving parents and concerned role models, provide for the vast majority of us. Restoring Hope Mentors have an important role in unpicking this. A mentor at the prison gate can take the edge off that very first, frightening day when the ex-offender leaves and takes their first steps away from a life of crime. They can give an ex-offender a fair chance of staying on the straight and narrow by being that wise friend, supporting them in finding somewhere to stay, getting a job and reconnecting with their children. 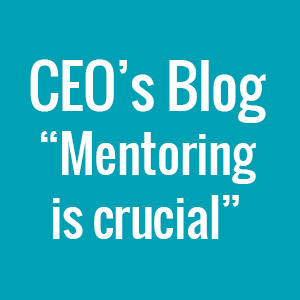 For this reason, mentoring is crucial to turning around the lives of ex-offenders and preventing them from reoffending. Our mentoring project ‘Restore24 Community Mentoring’ promotes a mentoring relationship for at least 24 weeks prior to being released. Meaningful mentoring can be the difference between staying out of prison or returning to the aimless revolving door of prison life.